We help you design and build your dream space. Our goal is to make your home remodel easy and enjoyable. Bring tired old spaces back to life. Are you living in a mid-century house that still looks and feels old, we can help you bring your home into the new millennium. Let us make your home more contemporary with new bathroom spaces. Bring the past back to life. We will help you get more enjoyment out of your current kitchen. 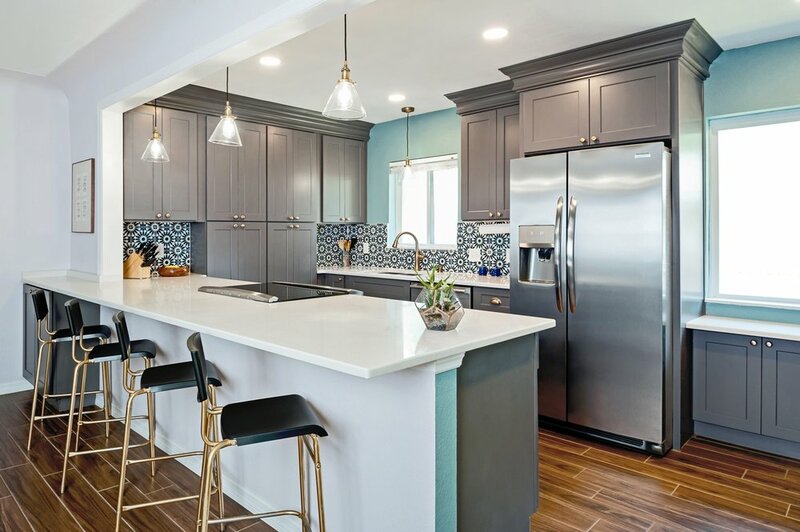 If you are just looking to spruce up an existing kitchen with a new backsplash or completely re-envision your kitchen to a brand new work of art, let our team of experts enhance your kitchen. We can work within your budget. From planning, design, build, to completion, we will bring to life almost any idea that you have. Completing your project with quality that you can count on. Our excellent reputation and long list of satisfied clients can attest to our superior craftsmanship.